What is the VMware VCDX Certification and Why is it Critical? What is the VCDX Certification? VMware is a leading software and services company focused on cloud computing and virtualization. It also develops and accredits some of the most prestigious certifications in the industry. These certifications are referred to as VCDX certifications. 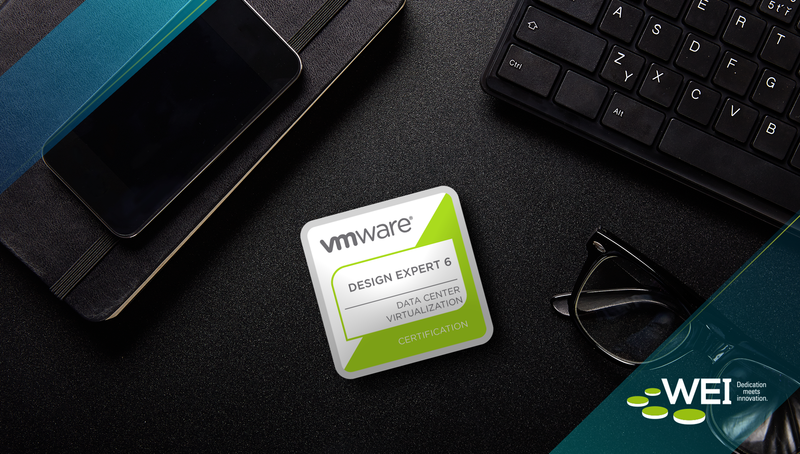 VCDX stands for VMware Certified Design Expert. This is for those that have earned a top tier certification from a VMware panel. For example, Cisco CCIE has always been recognized as a highly coveted certification in the networking discipline and VCDX is the equivalent in the virtualization space. Some people even think of this like getting a Ph.D. in virtualization. There are only 269 VCDXs across the globe. There are not very many VCDXs in the New England region and Mark Gabryjelski, WEI's Virtualization Architect & Ambassador, is the only VCDX in New Hampshire. He is VCDX #23.